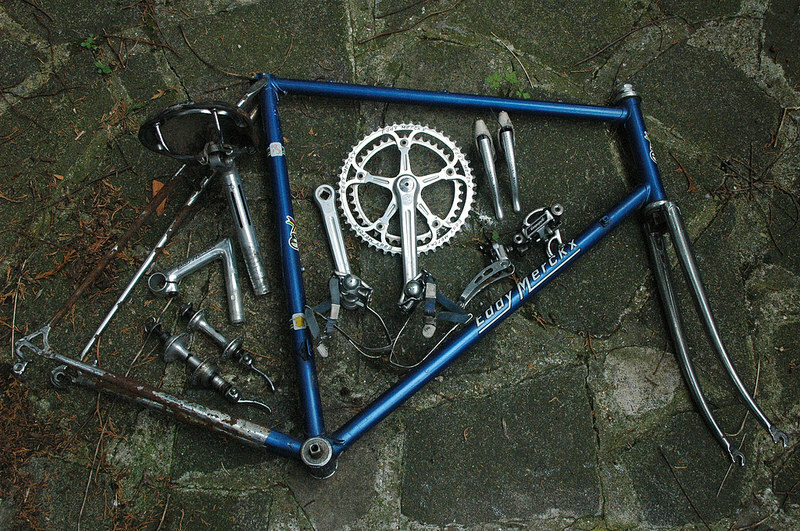 This was possibly part of my greatest ‘shed finds’ to date,bought as part of a job lot, which included a damaged Alan roadbike, a Gazelle Champion Mondial AA frameset , Gazelle Champion Mondial AB roadbike with Campagnolo Victory gruppo…and a 35 litre rucksack full of Campagnolo. 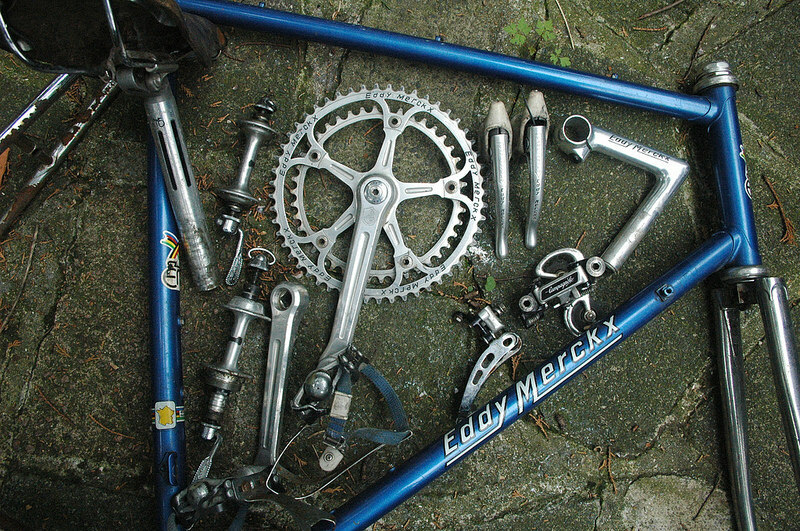 I paid a modest 150 Euro for the lot, and had a mission and a half getting home as I travel without car. I took everything by tram and train home,and had to walk with the rucksack, a frame over each shoulder, and a bike in each hand.I think it was the euphoria of the find that kept me marching . 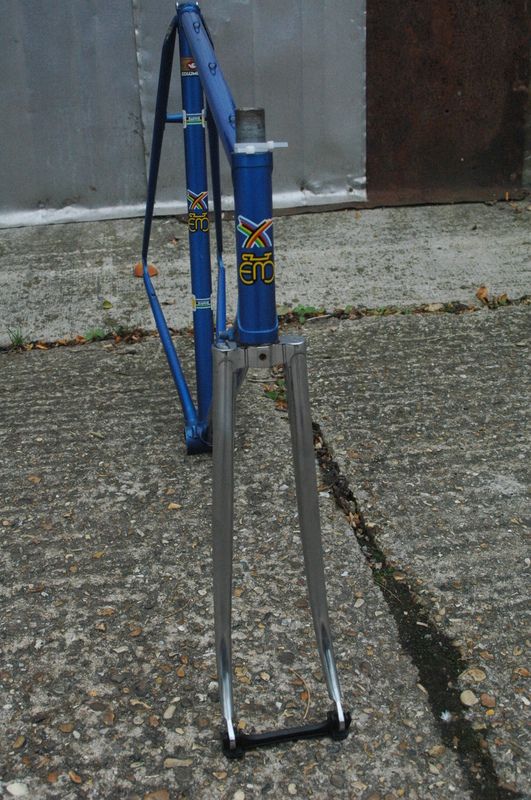 I initially turned up at the vendor’s home to buy the Alan and the Gazelle Champion Mondial AA,when I arrived I was greeted by a kind lady and her male friend,and was told the lady’s husband had past away, but had been a bicycle enthusiast.When the deal had been concluded,the lady told me her late husband would have been happy the items ended up with me. 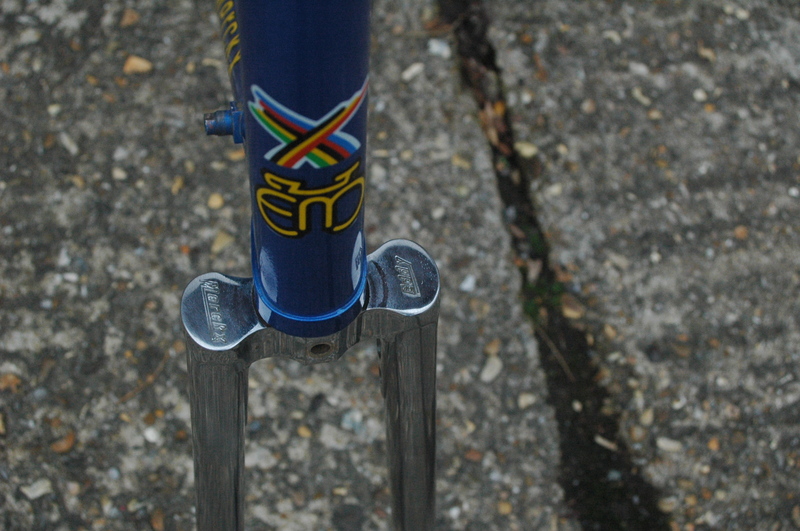 Full Eddy Merckx pantographed Campagnolo Super Record gruppo. 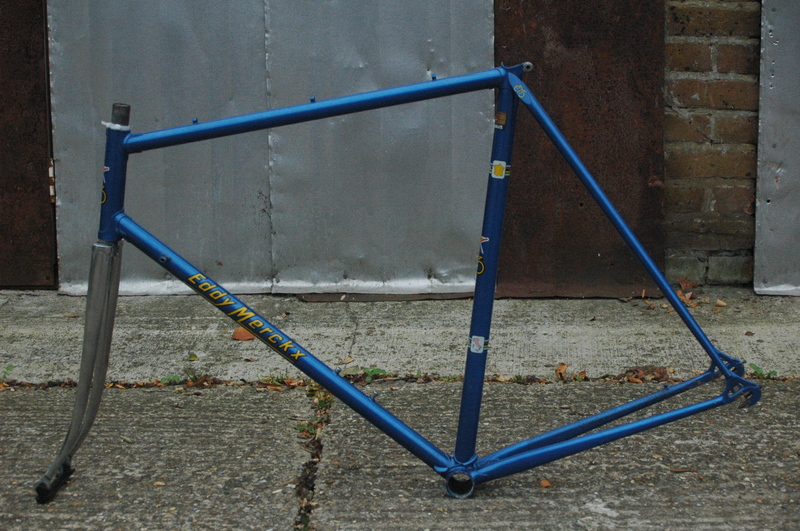 The rear triangle stays were really quite corroded, the frame actually sounded like a set of maracas if you shook it due to loose particles inside, so as the frame was too big for me, I sold it. 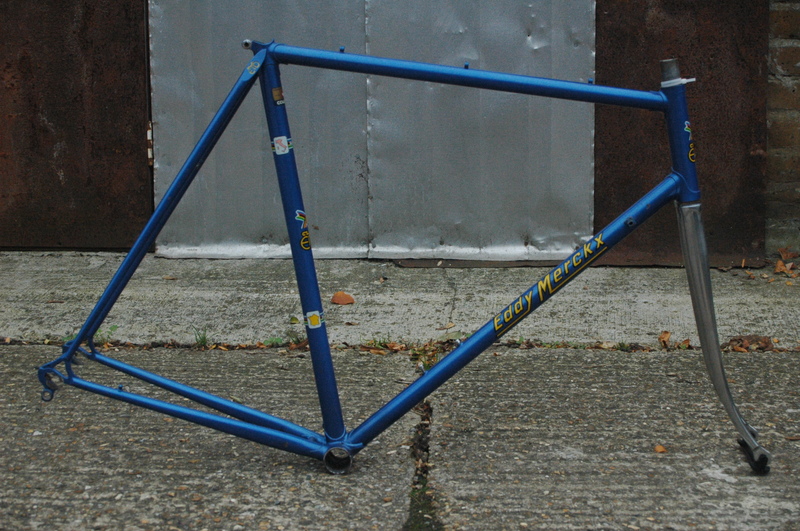 Soon after, I managed to find another Eddy Merckx Professional, in my size and in better condition.. 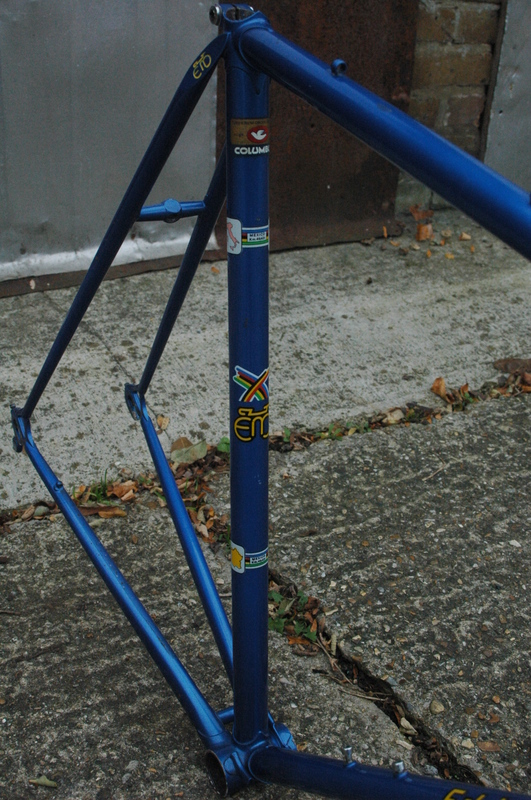 The Professional model comes with De Rosa fork crowns, as the brand collaborated with Eddy’s factory in production.. 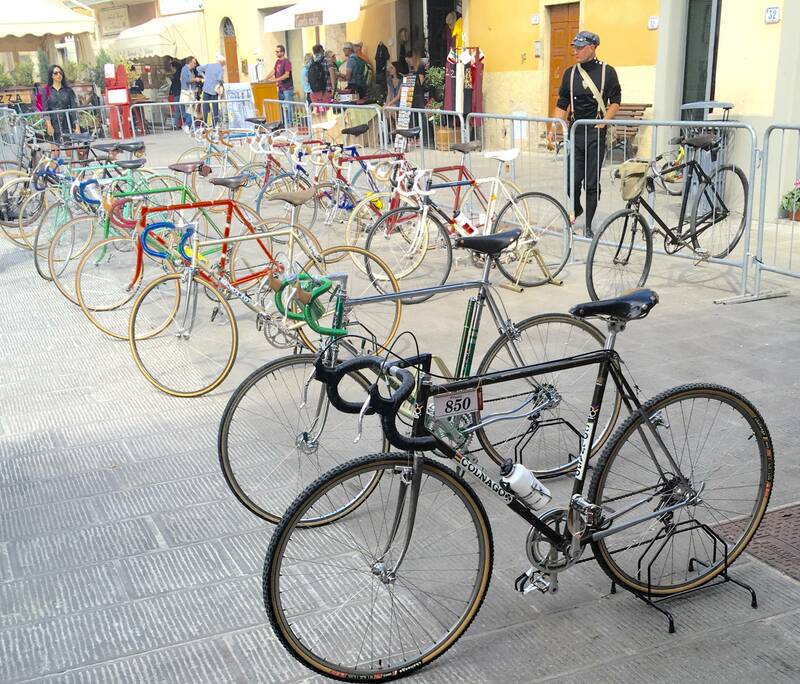 I will use yellow Benotto bar ribbon, Campagnolo gum lever hoods, and either a suede or yellow Concor Super Corsa saddle, and I will build a wheelset.